Saturday 25 March 2017 marks the 60th Anniversary of the EU! In six decades, many things have changed: from a continent traumatized by the horrors of the Second World War, Europe has evolved into one of the most prosperous and freest regions in the world. In terms of human rights especially, our continent keeps inspiring people across the globe in the search of a society where different life stances and worldviews can co-exist in relative harmony. 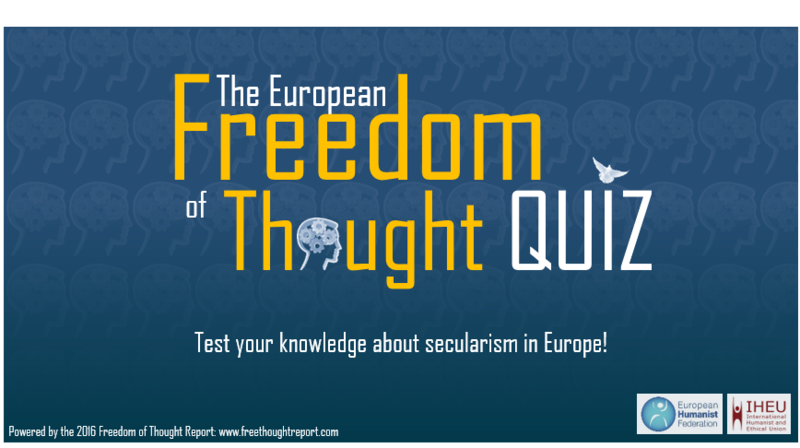 For the 60th anniversary of a Union that was founded after our forbears’ struggle against so many tyrannies, we propose a quiz to anyone who would like to test their knowledge about freedom of thought and secularism in Europe. Let’s see if the picture is as bright as we like to believe it is! To take the 12 questions-long quiz, please follow this link. Freedom of Religion or Belief: despite a balanced report, EPP intentions remain clear.